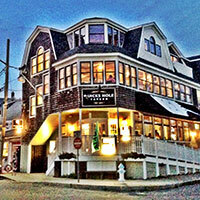 The waterside restaurant strives to push New England cuisine to the forefront of regional American. In the casual eatery—reminiscent of an old ship’s hull—chefs Brandon Baltzley and Laura Higgins present an esthetically impressive interpretation of Cape Cod classics. 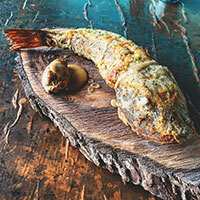 Through the use of native ingredients and traditional techniques, guests will taste the time and place where they are dining: Forty-One North, Seventy West.